Sophia Kor was an Instructional Coach–a licensed educator working directly on lesson-planning and curriculum with Teaching Fellows–during our 2018 Summer Session. See what she had to say about her experience in her interview below! 1. Please tell me a little bit about your background! Where did you grow up, where did you attend high school and college, what have been some subjects or potential careers you were interested in growing up, and how did you become interested and involved in teaching? I grew up in Eagan, Minnesota and went to Eastview High School. After I graduated, I attended St. Olaf College (Um Ya Ya!) for Music Performance and Asian Studies. 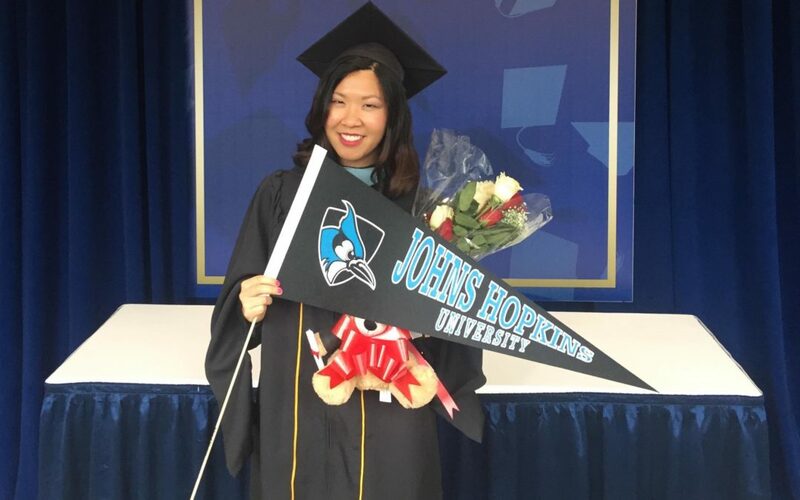 Just this spring, I received a Masters in Education from Johns Hopkins University in Baltimore. I was always interested in teaching, especially as a child, when I would create math quizzes for my non-existent students! However, as I grew older, I wanted to focus on music. It wasn’t until I was a BLP teacher at Breakthrough that I realized how much life and energy teaching in the classroom gave me. After my summer at Breakthrough, I received a Fulbright to teach English in Taiwan, pushing me even further into the world of education. 2. How did you become aware of Breakthrough, and why did you decide to get involved as an Instructional Coach? Four years later, I found myself yearning for the spirit and collaboration that defines Breakthrough. I reached out to an old friend that still worked at Breakthrough, and he said that there were openings for the IC position. So, I applied! 3. In what ways has your experience at Breakthrough helped you develop and grow as an individual? Working closely with Teaching Fellows has strengthened my own practice. I love that their perspectives are fresh and occasionally non-traditional, which is sometimes what experienced teachers need. I can’t wait to apply what they’ve taught me to my own teaching. 4. What do you enjoy most about your job as an Instructional Coach? One of my favorite parts about being an IC is observing the Teaching Fellows create relationships with their students. I especially enjoy hearing the Teaching Fellows come back into the faculty room and boast about the success of their students. It’s very cute. 5. Can you tell us about an experience working at Breakthrough that impacted you or sticks out in your mind? Every year, my BLP co-teacher and I have a reunion for our students. Every year they are brighter, taller, and more mature. We love hearing about their academic successes, their future plans, and how BTC impacted their lives. Not to mention all of our inside jokes! 6. What advice or suggestions would you give for someone else who wants to get involved with Breakthrough or apply to be a Teaching Fellow or Instructional Coach? As an Instructional Coach, it’s necessary to have patience. The Teaching Fellows are like superheroes, completing multiple tasks at once. For most of them, it’s their first time teaching. Not only is it our job to support them to academically, but mentally as well.